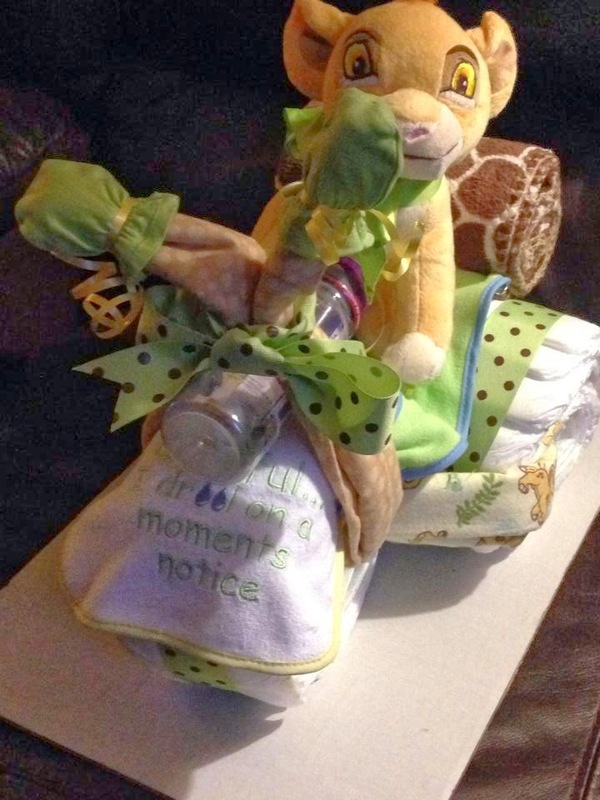 The Lion King Diaper Trike I put together for my daughters Best Friend. All Items found at your local Walmart store! It is a very sad day today. I decided to take a step down from Digistamps4Joy's design team until I get my personal life in order again. I absolutely adore the ladies here and would highly recommend the digistamps as well as being a designer, designing cards for Margaret Kieser. She is one of the sweetest kindest people I have ever met online in the crafty world. I am truly thankful she gave me the opportunity to do what I love, designing cards as well as being a part of a team again! 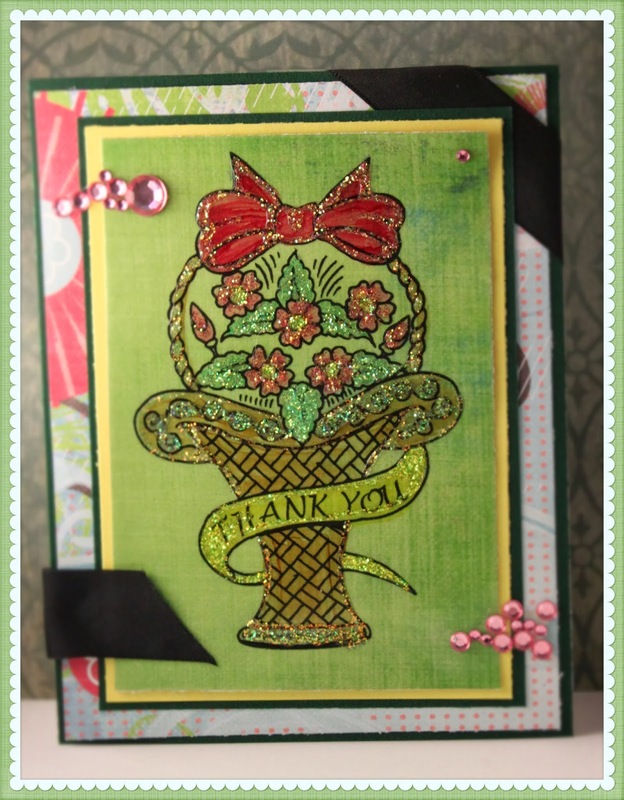 I have renewed hope for design teams thanks to Digistamps4Joy and the wonderful ladies on my team. Thank you all for the many EGO boosts I so desperately needed...lol! Thank you all for being there for me if it weren't for you ladies I may have gone insane, it is a true blessing to know that there are still caring, wonderful people in this world! I was selected to be the Bombshell stamps January PinUp! Above is the card I made with glitter and Clear grafix paper! It is time for a NEW challenge at Digistamps4Joy! 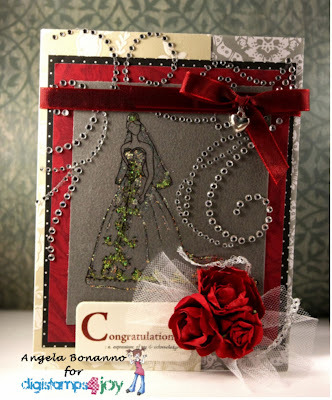 This card was inspired by my daughters best friend since before Kindergarten who recently married on December 7th. Her gorgeous wedding dress was white with some gold accents, we love you Darissa! Congratulations! Come on lets shine in 2014 with some Glitter and Sparkle! Show us your twinkling cards at the DS4J Blog! I'll see you there! Another Beautifully drawn image by Margaret Kieser. You can find it in the DS4J store! 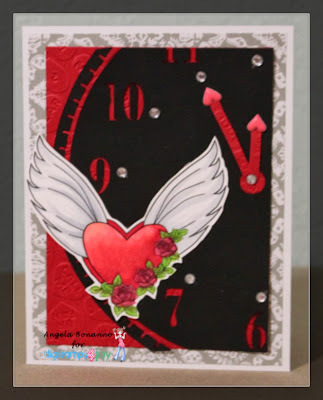 My card reads on inside I LOVE YOU.. Till the end of TIME! Here it is the final completed afghan from the 12 inch squares of 2013 at Ravelry.com! I was so pleased to be finished! Thats right I am a January 2014 Bombshell Pinup! Angela Bonanno is Bombshell's Ms. January! 1. Brief info about yourself, including your name, where you live, your family (if you want), etc. I'm Angela Bonanno and I live in Edmond, Oklahoma. I have two young adult children, a son and a daughter. 2. How long have you been stamping and/or crafting? 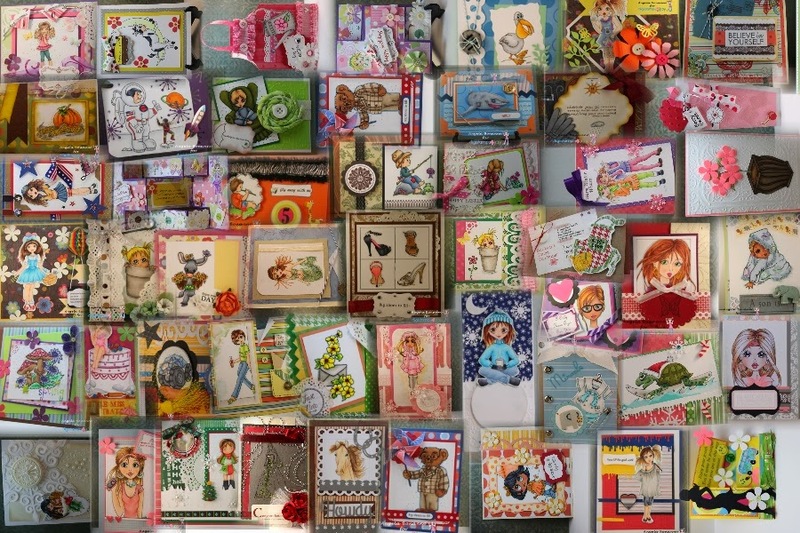 I have been crafting all my life and had an alphabet stamp set at a very young age but I really dove in to stamping and card making in 2008 when I decided to join a card swap for the soldiers. 3. What are your favorite Bombshell sets and why? I love the Bombshell Angel set! She reminds me of 50's era and I love vintage! 4. What kind of projects do you like to do? I most make cards and crochet. 5. What are your favorite coloring mediums? 6. Describe your crafting "style". I don't have a style I just go with it! 7. Describe your crafting process. Do you start with a stamp set? A sketch? A technique you want to use? All of the above! I like to try new techniques and love new stamps to play with! Sometimes I have crafter's block and need to look at a sketch for inspiration! 9. Free for all including little facts, etc. about you. I have three blogs. My main blog is for my crafts. I also started a camping blog because my husband and I love camping and RVing. I thought by joining some cooking challenge groups it would help me improve my cooking skills so I started a blog to journal my progress. I didn't keep up with the classes. Go figure. The challenge will be posted next Wednesday, January 8th!